Offered on all cookies, with a minimum of one dozen of the same kind of cookie and same kind of drizzle. Hildegard describes mixing cinnamon, nutmeg and cloves in her recommended amounts and then to make each one in a small cake or paste. Then one is to eat them often to calm the bitterness of the heart. She further describes in calming the bitterness of the heart the senses clear. As the senses clear the mind becomes open to the hearts calling of peace. This contributes to good blood and makes one strong. Ingredients: Spelt flour, brown sugar, butter, eggs, cinnamon, nutmeg, cloves, baking powder, baking soda, sea salt. Bring the taste of the tropics home with this coconut, pineapple and raisin oatmeal cookie! Close your eyes as you chew this cookie and imagine palm trees swaying, and walking in the sand on the beach, as you listen to the gentle ocean tide flowing in rolling over your feet, while the sun warms your skin. This cookie offers your taste buds the joy of more than one cookie flavor! Many people say that Ohio is too cloudy—well you can lift any cloudy day to sunshine with one of these cookies no matter where the clouds are! A mild compliment to any dish or soup, or just as a snack. This is a soft cookie that melts into a warm bite of flavor. Made with the freshest coconut ingredients, this cookie can be chilled or frozen to taste just like a fresh coconut cream pie! You cannot help but look at this cookie and know how good the next bite will be. This sugar cookie tastes great anytime for any occasion! Almond flavored sugar cookies. This makes a wonderful after dinner taste to compliment any dinner. These cookies are great for the ‘on-the-go’ and a ‘pick-me-up’ snack. The peanut butter oatmeal is a blend of gentle thoughts in a rushed society. The almond butter oatmeal cookie is cheerfully created for a flavor. 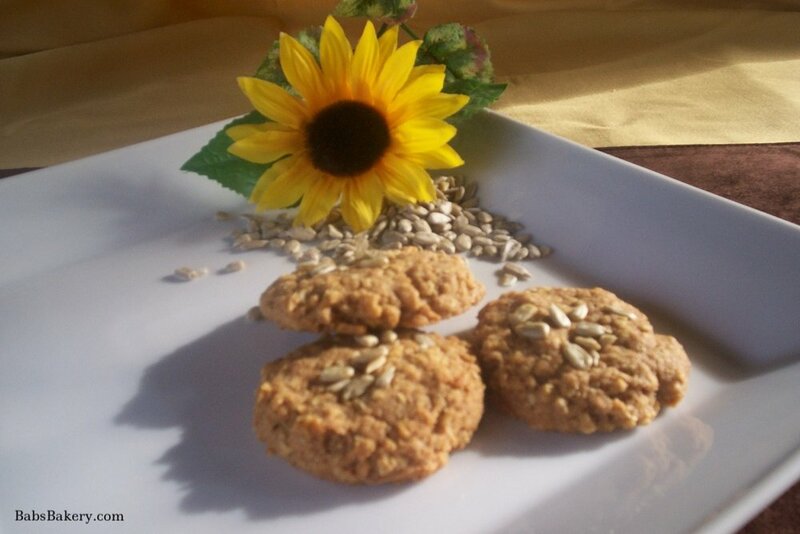 The sunflower seed nut butter cookie has the taste of sunshine. Jo-Java Coffee Cookie- $10.00 per dozen. Got a taste for coffee, but not a cup of coffee? A crispy melt-in-the-mouth cookie made with Starbucks Via. Jo-Java Coffee Drops- $12.00 per dozen. Chocolate Mocha has a chocolate bottom or Vanilla Latte has a white chocolate bottom. Chip d’Mint- $10.00 per dozen Fresh dried mint leaves create a wonderful taste! Frozen—they taste almost like ice cream! Raisin Filled- $12.00 per dozen Delicious raisin filling inside a cookie dough. Date Filled- $12.00 per dozen Another delicious filled cookie dough with dates. Fig Filled- $12.00 per dozen Filled cookie dough with figs. Jujube Filled- $12.00 per dozen A unique filled cookie dough with jujube or known in China as red dates. Chocolate Krinkles-$10.00 per dozen Soft, rich chocolate cookie. Black Forest- $12.00 per dozen. Cherry filling in a chocolate krinkle cookie, then drizzled in chocolate! Ginger Cheweez-$10.00 per dozen. This cookie is so good, the elves ate more than we sold at Christmas time! Ginger-Vanilla- $10.00 per dozen. A vanilla drop sugar cookie with bursts of ginger! Lemon Zingz- $10.00 per dozen. Fresh grated lemon rind mixed into a drop sugar cookie mix. Optional: dusted with powdered sugar- but only if requested! Peanut Butter- $10.00 per dozen. Peanut butter cookie. Peanut Butter-filled- $12.00 per dozen. Filled with jelly in the center. Ginger Krinkles- $10.00 per dozen. Spicy, crackled cookies! Double Chocolate drops- $12.00 per dozen. Chocolate krinkles with chocolate dropped in the middle! Chocolate chip-oatmeal cookie-$10.00 per dozen. A unique blend & a satisfying taste that makes snack time more enjoyable! Cut-Out-Cookies- Seasonal & Party time Cookies! The back is coated with milk chocolate and the front is decorated seasonally or to suit the party needs! Choco-Dream Cookie- $1.50 each- Minimum ½ dz. Two soft & fudgy chocolate cookies filled with yummy vanilla crème! Other filling choice: Vanilla crème, Peppermint crème or Chocolate crème. Greek Sesame --- $9.50 per dozen. Traditional Greek cookie. A good friend of mine, who is Greek, taught Karan how to make these the way her mother & aunt taught her. Ingredients: Spelt whole grain flour, unbleached wheat flour, water, peanut butter, oats, eggs, diatomaceous earth, baking powder, baking soda, sedav salt. Basic herbs/spices are used in the recipe- jaggery, stinging nettle, cardamom, rose petal flour, coriander, licorice tumeric. Depending on the imbalance the herbs will vary: jaggery, stinging nettle, karela, rose petal flour, cardamom, coriander, fennel, licorice, slippery elm bark, coconut flakes, dandelion, red sandalwood, gudducci, jatamansi, fennel, tumeric or a blend called Chinese 5-Spice. You can learn more about the energetics of these herbs/spices throughout this website and purchase the Food Energetic CD’s on the Merchandise page. They coincide with this website to make learning easy and understand the Hildegard, Chinese & Ayurvedic systems for humans, as well as, animals. Remember that these foods/herbs/spices are from 5,000 year old systems and are not according to modern teaching with current treatment of animals. Please read the disclosure at the bottom of this page and the complete full page http://www.babsbakery.com/disclosure/. Cake flavor: Chocolate, Vanilla, White Almond, Hildy Spice, Lemon, Rainbow cake requires an extra charge. Ask if you need a flavor not listed. Iced with vanilla frosting only, unless requesting Chocolate. Chocolate Ganache icing is an extra charge. All icings used are formulated with various spices to help reduce the damp condition or K+ within them, such as: cardamom, bitter gourd, coriander, pipli, slippery elm, cinnamon, galangle… Yet keeping the quality “taste-bud” value people enjoy! Decorated with roses, seasonally, or special occasion. 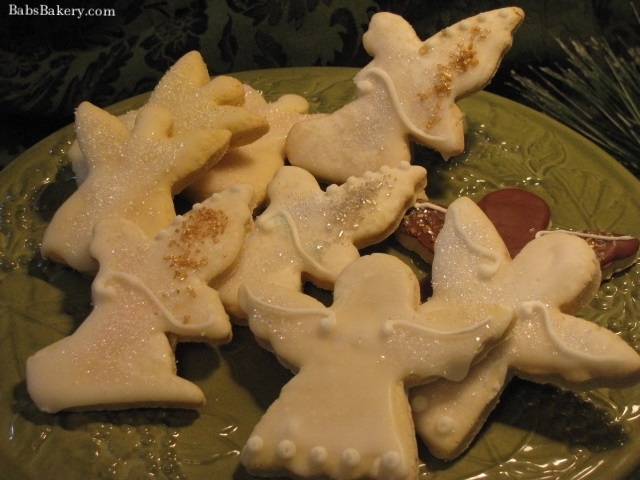 Fondant Angels available- Karan created these molds---please inquire. Natural colors for decorating available -from India. Otherwise regular bakery food colors are used. PLEASE inquire for the date you have in mind as we can accommodate most orders. Filled with Chocolate or white icing...............................$1.50 ea. Decorated with rose or flower.........................................$1.80 ea. Mini sizes can be poured with white fondant icing. $6.00 each. Chocolate ganache $7.00 each. Most Cakes are available in a mini size and decorated on top with a Rosebud or Seasonal theme. Minimum 12 order. cake with chocolate over top of the cake. Decorated with Roses or Seasonal Theme. Vanilla cake with coconut filling and decorated with coconut. Christmas 2010, my brother David came up with this cake. He had a Ph.D. in food service & restaurant management. We didn’t know what to call it, so I called it Dave’s Cake. Unexpectedly he died in Feb 2011, but Dave’s Cake is a cake ALL chocolate lovers will remember! Dave described it as: “Very rich and filling, but not a ‘heavy’ cake that weighs you down after you eat it.” Four layers of chocolate fudge cake, homemade fudge filling in between each layer, iced chocolate, and the sides are coated in mini chocolate chips. Iced and decorated with icing carrots! A crust that replaces the graham cracker crust made from Hildy Snack ingredients! Drizzled in dark chocolate or white chocolate. Add one of BABS homemade fillings on top, prices vary. Chocolate cake filled with our icing and then chocolate poured over all! Exclusive to BABS Bakery,, & extremely delicious! It’s my mom’s recipe & it’s over 70 years old. Growing up I never knew other any other cheesecake until I got older,,, and this is still my favorite one! All cakes are a 9” single layer at a special price of $15.00. Serves 6-8 people. Peppermint Delight – Chocolate or Vanilla cake with peppermint icing, decorated with Teal & White colors. Peppermint Delight –– Chocolate or Vanilla cake with peppermint icing, decorated with Burgundy & White colors. Peppermint Delight –– Chocolate or Vanilla cake with peppermint icing, decorated with Purple & White colors. Coconut -Almond Delight – Chocolate or Vanilla cake with sliced sugar-burnt almonds and coconut. Coconut-Almond Delight – Chocolate or Vanilla cake with sliced sugar-burnt almonds and coconut. Lemon Delight – Vanilla cake only, with fresh grated lemon rind in icing & decorated in colors. Spice Cake with crushed Hildy snax on top. All cakes are a single layer 9” decorated cake. Special priced at $15.00. December--- WHITE CHRISTMAS CAKE! --Chocolate or Vanilla cake decorated in white. January--- SNOWFLAKES FALLING CAKE! Chocolate or Vanilla cake decorated with snowflakes. February—HEAVENLY HEARTS CAKE! Chocolate or Vanilla cake decorated with hearts. March-- SHAMROCK CAKE! Chocolate or Vanilla cake decorated with shamrocks for St. Patrick’s day! May-- MOTHERS DAY CAKE! Chocolate or Vanilla cake decorated with flowers & a ribbon on it. June--- FATHER’S DAY CAKE! Chocolate or Vanilla cake decorated in brown & blue colors. July--- FLAG CAKE! Chocolate or Vanilla cake decorated in red, white & blue colors. August--- SOMA CAKE! Chocolate or Vanilla cake decorated with a moon & sun to signify the universe. September---- THREE ARCHANGELS CAKE! Chocolate or Vanilla cake decorated with an angel to celebrate the Feast of the 3 Archangels! October--- BOO CAKE! Chocolate or Vanilla cake decorated with a white chocolate ghost & orange flowers. November-- THANKSGIVING CAKE! Chocolate or Vanilla cake decorated with Fall colors. Need a birthday reminder? Sign up today! Which day would you like to be reminded for? 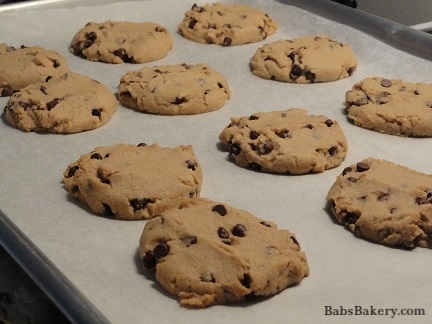 All BABS Bakery products and recipes are copyrighted. © 2005 babsbakery. Check all ingredients before eating, even with a doctor for some ingredients, such as spices, any plant food, or herb may cause an allergic reaction in some people, or interact with medications. © 2007 babsbakery. This bakery and website is for educational purposes only. The information supplied here comes from a variety of sources and authors and not every statement made has been evaluated by the FDA. This information is not intended to diagnose, treat, cure or prevent any disease. © 2010 BABSBakery.com © All Rights Reserved. This content may not be copied in full, without contact in writing in order that the integrity of creation and information remains intact, without specific permission, when used only in a not-for-profit format, permission may be granted. 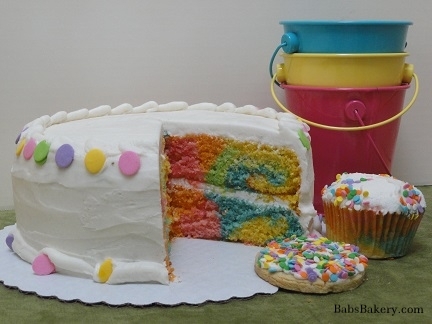 If you want to use one of these articles on your site please contact BABS Bakery bubbairesbakery@aol.com If any other use is desired, permission in writing from BABS Bakery is required.